If you don’t have mobile friendly websites you should design your websites as soon as possible because Google introduced new mobile friendly algorithm. If you don’t have a mobile website you will sure lose your ranking to competitors. You should know that today most of the traffic came from mobile devices only. In top countries like US, India, and more countries, mobile traffic outperforms desktop traffic. If you want to build a real business online, you should design your site that incorporates mobile friendly websites. That increase your site user experience and also visiting users they convert as a new customer for you in future. In this post, I will explain to you how to build your first mobile website for your business or personal websites. If you have limited amount of budget then you move to CMS based software’s is suitable for you. The WordPress CMS Open source software is one of the top software on the internet and most of the small business sites are designed by WordPress. There are hundreds of free WordPress themes available on WordPress repository site. You can select your themes based on your requirement. There are premade premium theme also available that themes are mobile responsive you can buy a theme from theme shops. And easy way is you can choose Bootstrap platform because in this platform you don’t need to hardcode everything. For example, if you want buttons, you can find buttons code on Bootstrap site and paste that into your code editor. That displays button on your page with simple effort. If you don’t have much time to design your site your own, then you can move your designing job to web designing agency. Based on your budget the designing agency builds your site for you. You can choose your designing agency based on their experience and portfolio of the designing agency. Test your website using Google Mobile-Friendly Test tool to check your site is a mobile friendly site or not. When building your site, you should know important three things for building Mobile websites? If you build your mobile website you should concentrate on user experience. If they want to be entertained by blog post, get your company address or want to see your restaurant review and your site should focus on this thing only. Make sure your mobile site looks neat and user-friendly. When you design your site try to reduce the number of tasks to complete because if you increase the number of task on your site your customer may dislike your site. You can measure your site effectiveness using different devices and OS software’s, check your website using different resolutions with different OS software’s. 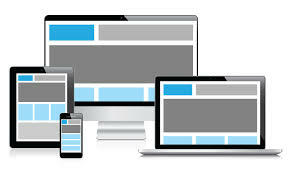 Make sure your website looks great in each of those devices. Prioritize your sites tasks on your mobile site for your customers. If you focus on those important tasks your customers interested on your site then bounce rate will reduce. Focus on your websites layouts on different platforms and make sure your site layout consistency on different layouts and this will improve user conversion. One of the advantages of Responsive web design or RWD is you don’t need to maintain different versions of websites for each device. RWD code displays your website according to visitor’s device size. You only manage only one site for both desktop and Mobile devices. If you want your website ranking on Google and other search engines. You first change your site to Responsive Web Design or RWD and due to this, your site ranking automatically improves on Google Search. Not only your website ranking well on Google and also RWD improves your site visitors user experience (UX).